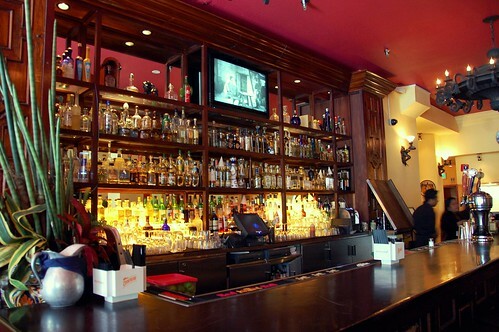 I've been to Colibri a number of times for dinner because my usual hotel for work travel is nearby. Colibri has never disappointed me, so I knew it would be a solid place to brunch with the Oros. 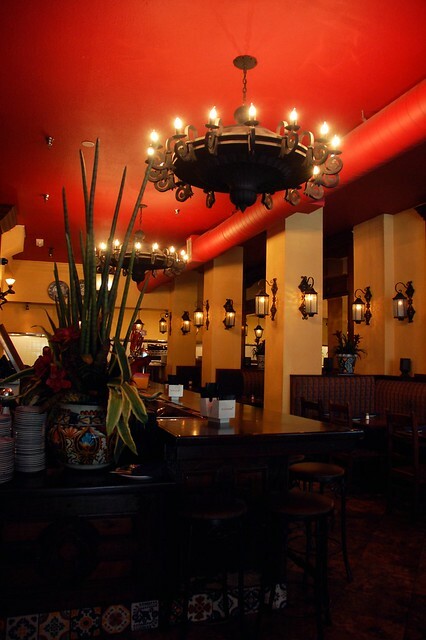 The ambiance is somewhat typical of an accessible Mexican restaurant. But the food is much better than typical. 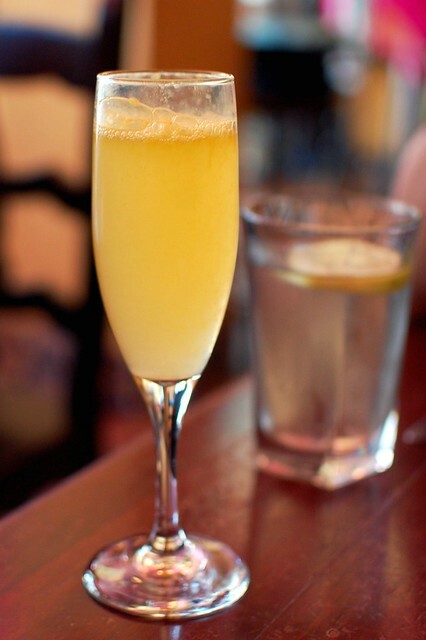 With the purchase of an entree, your mimosa made with fresh-squeezed orange juice is bottomless! Chug-a-lug! 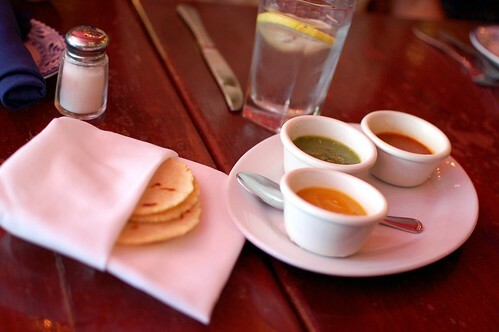 So hot and so fresh and so good with the three different salsas! 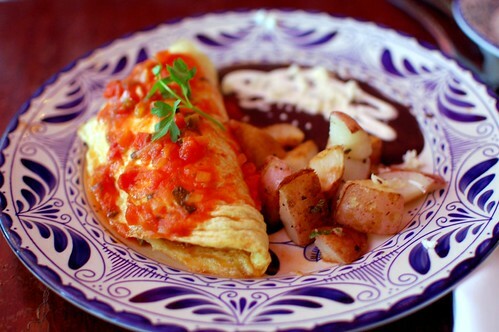 Carnitas and salsa ranchera omelet ($10). Mr. Monkey and Mr. Oro both ordered this meaty masterpiece. Yummeh! 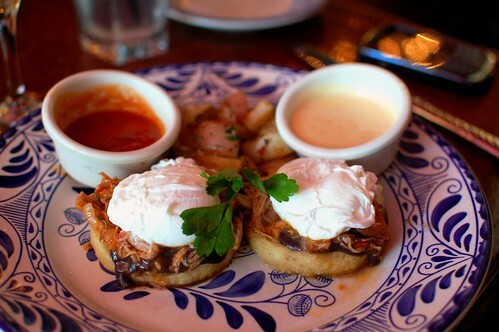 Huevos benedictinos estilo Michoacan -- two corn shells with refried beans, carnitas, two poached eggs, and chipotle Hollandaise sauce served with house potatoes ($12). Mrs. Oro noshed on this lovely offering. Very creative and very tasty. Chilaquiles rojos -- housemade corn tortilla chips served with Roja tomato-chipotle sauce, shredded chicken, chopped onions, sour cream, fresh cheese, and topped with two eggs over easy ($14). I enjoyed my chilaquiles greatly. 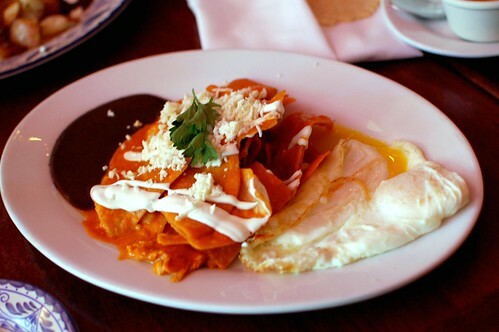 But, really, I don't think I've ever met a chilaquiles dish that I didn't like. 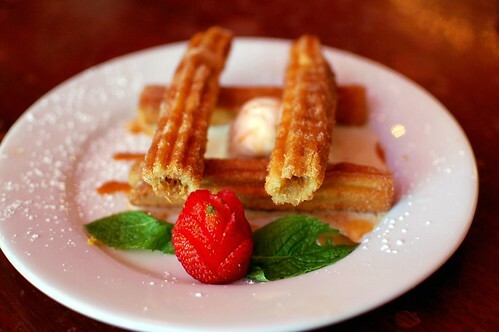 Churros rellenos with cajeta caramel cream and dulce de leche ice cream ($8). Just when you thought things couldn't get better, this lands on the table! Yes! 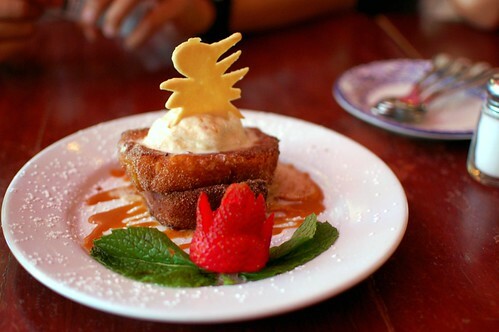 Caballeros pobres -- homemade sweet pastry baked and slightly fried and served with piloncillo-cinnamon honey ($8). Another fun treat for all of us. Colibri is tried-and-true. You'll have a satisfying meal, day or night. Bottomless mimosas? Be still, my heart. You had me at bottomless mimosas . . . until I saw the churro, died of happiness, and came back to life just in anticipation of one day visiting this magical restaurant. 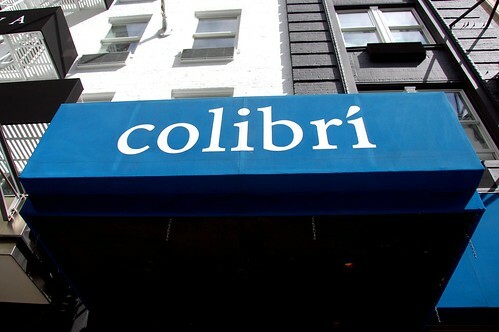 I liked but didn't love Colibrí, and I think I'm the only one to ever say that! I went last-minute with a big group on a Saturday night, so I think I was too hungry to actually taste any of my food before wolfing it down. I'll have to give it a second chance next trip. Ditto Trish. Bottomless mimomos for $10 = gimme. Can you tell I'm drunk.? I am.